Expert Puppy Training Buffalo – Start Off Right with your Puppy! Puppies are a cute bundle of joy, but they can be handful for the inexperienced pet owner. When a puppy is old enough (eight weeks or more) to leave its mother and littermates, it is then ready for adoption…and for puppy training! Why Start Training Right Away? While puppy training may seem very basic and simple, it is actually very important for you and your puppy. Puppy training is your way of introducing your puppy to a happy life with you, where basic commands are instilled, proper associations (such as potty training) are implemented, and your puppy knows exactly what you want from him/her. Many might believe puppy training is just teaching your dog to “Sit” and eliminate outside, but it is that and SO much more! Colonial Dog Training’s in-home puppy training program is prepared to set you and your puppy up for success and a lifetime of behavioral balance. Using positive reinforcement training methods, we show your puppy the right behaviors and manners. 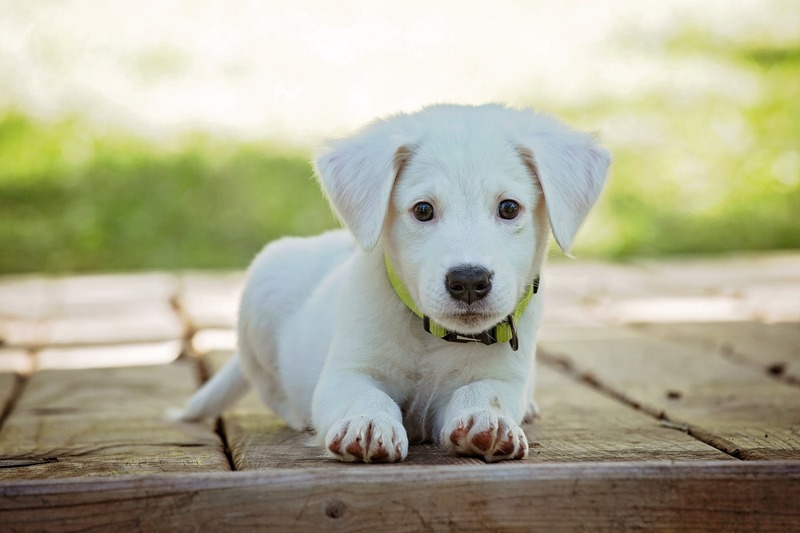 After much consistency, your puppy will learn and demonstrate these appropriate habits and routines as they mature into an adult dog, fully adopting them as their default behaviors. Prevent Problems Before They Start! Puppy training can help prevent problems before they even come to fruition! Puppies are essentially a clean slate and are WAITING for you to tell them what they need to do. Those puppies who lack any guidance or leadership from their families can develop serious behavioral problems such as persistent disobedience, hyperactivity, severe anxiety, or even aggression. Start your pup on the right paw and enroll them in training…you are giving yourself and your puppy an enormous benefit by doing so! If you’re ready to get your puppy the basics and more, then call us at 716.217.2817, or send us any inquiries on our puppy training program using our contact form.